National Coalition on Black Civic Participation president and CEO, Melanie L. Campbell was a panelist at The White House Summit on Working Families held June 22 and 23rd. On behalf of the Black Women's Roundtable that represents millions of Black women, mothers, aunts, wives and significant others, we salute President Obama for creating My Brother's Keeper. We believe it is not a flawed choice to focus on our Black men and boys. Open letter to National Basketball Association Commissioner Adam Silver regarding Donald Sterling. The Message from Black Women is Simple: Want Our Vote? Address Our Issues! Participants leave Black Women’s Roundtable Summit with to-do list to prepare for 2014 Midterm Elections and beyond. Thursday and Friday Schedule for the 3rd Annual Black Women's Roundtable Women of Power National Summit March 27 - 29, 2014. Release of report on Black women Thursday 12:30 at NCNW. 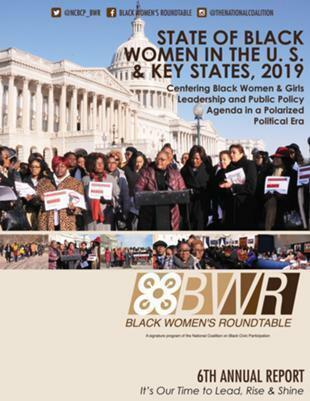 Congresswoman Yvette Clarke, Congresswoman Donna Edwards, Susan L. Taylor, Lucia McBath, and Dee Marshall among featured speakers at BWR national summit. 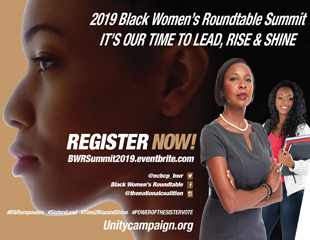 In celebration of National Women's History Month, we invite you to join us for the 3rd Annual Black Women's Roundtable Women of Power National Summit (BWR Summit) to Amplify the Voices of Women and Girls in the Digital Age on March 27 - 29, 2014 in Washington, DC. President Barack Obama; Attorney General Eric Holder; senior advisor to President Obama, Valerie Jarrett; and director of the Domestic Policy Council, Cecilia Munoz; met with Black leaders of civil rights organizations at The White House to discuss jobs, income inequality, voter suppression, criminal justice reform and other issues that impact the Black community. Melanie L. Campbell, president and CEO of the National Coalition on Black Civic and convener of Black Women's Roundtable, today issued the following statement r regarding the passing of Nelson Mandela. Currently reading page 7 of 15.